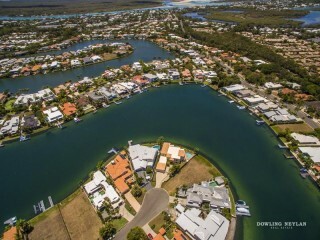 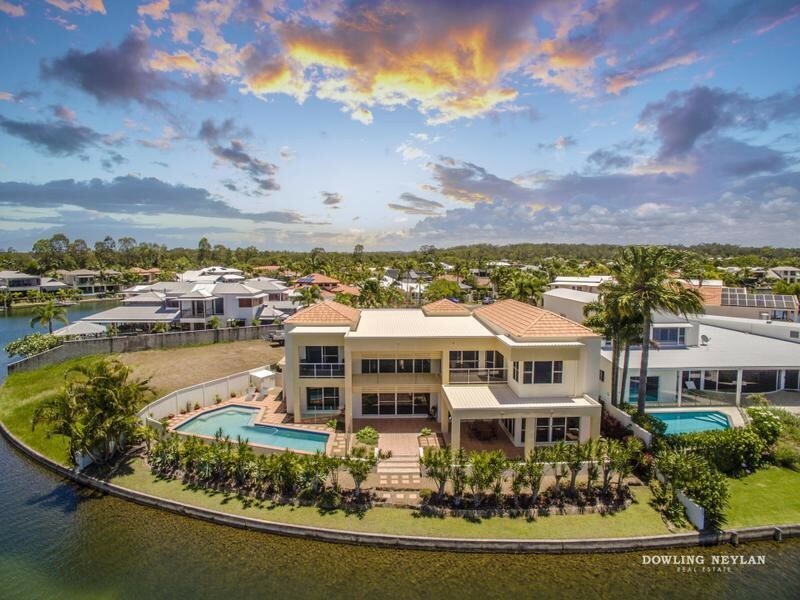 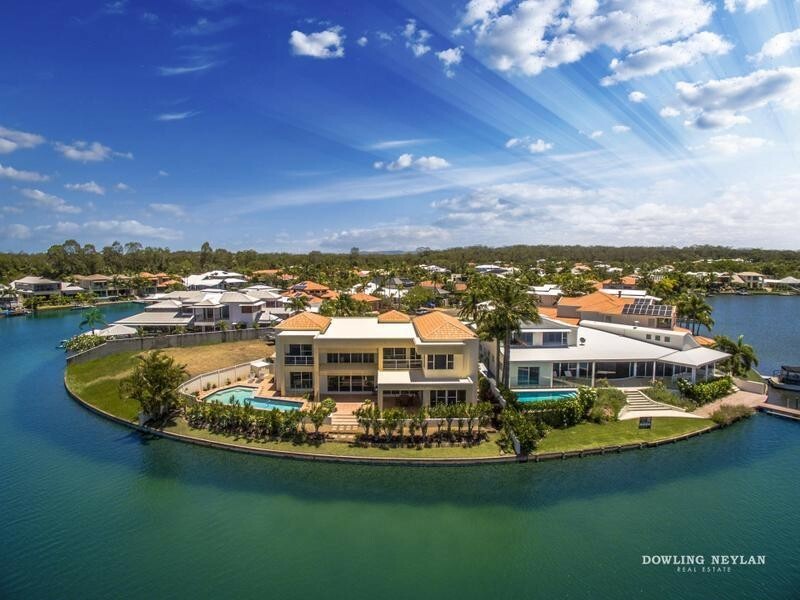 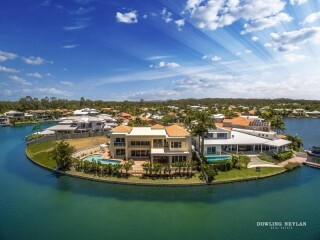 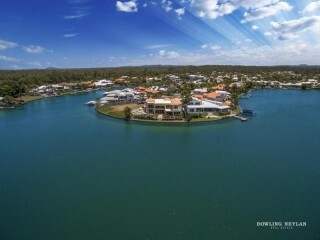 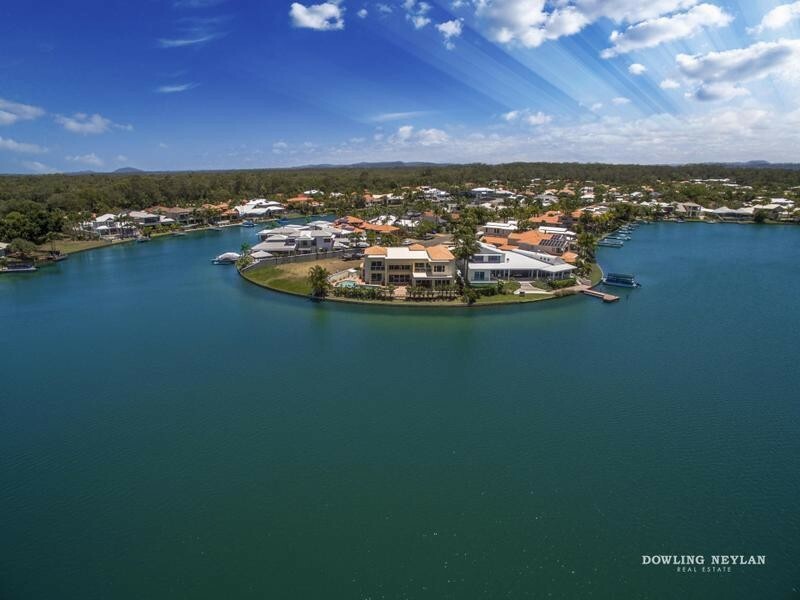 39 Masthead Quay is an absolute waterfront sanctuary boasting 34 metres of wide canal frontage in one of the finest residential streets in Noosa Waters. 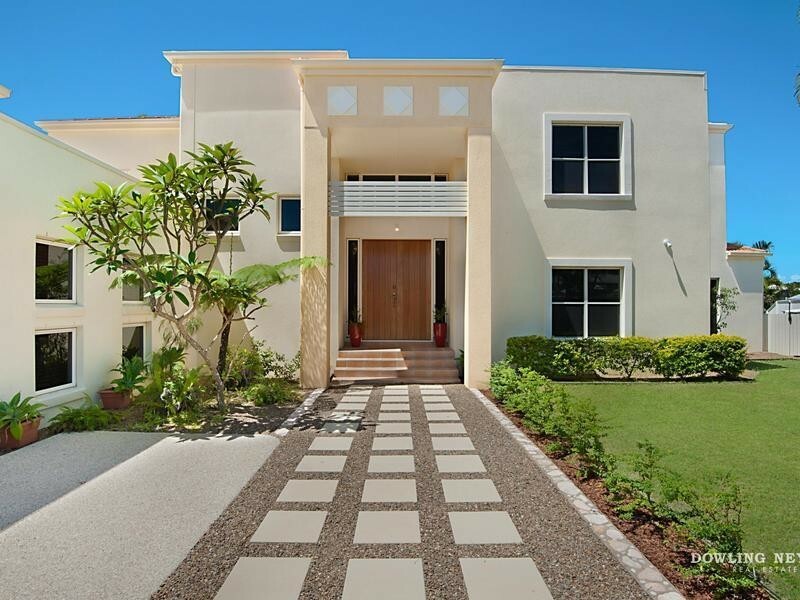 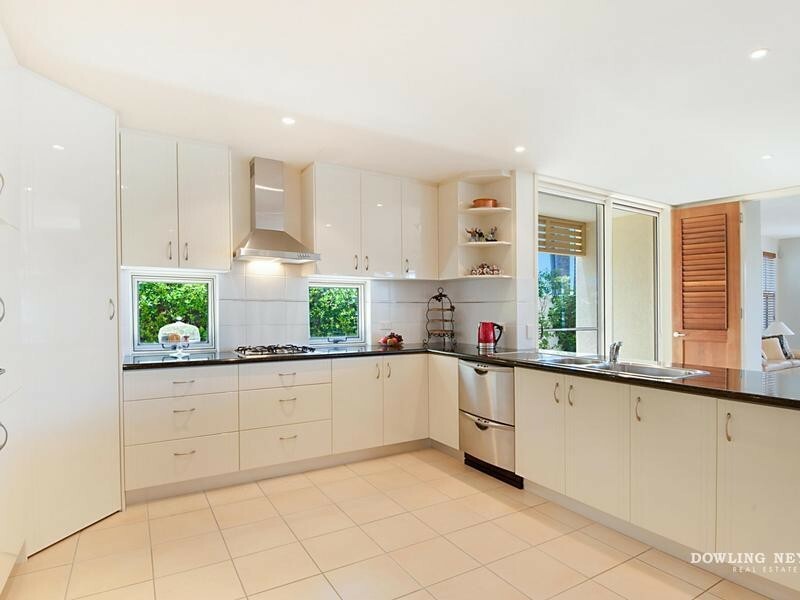 The most fastidious of purchasers will appreciate this splendid home which has been lovingly created by the current owners. 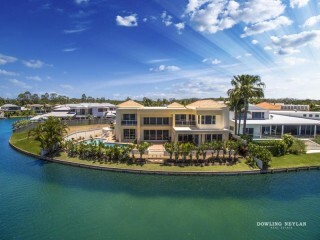 Perfectly positioned on a generous 986 square metre pristine block and situated at the end of a cul-de-sac, this dwelling is protected from prevailing winds as it lies in a shallow enclave of the canal and permits all year round outdoor dining and entertaining. 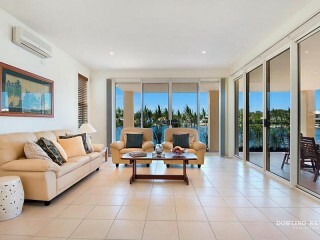 Boasting water views from all the bedrooms, the layout is practical, flows seamlessly and is warm and inviting. 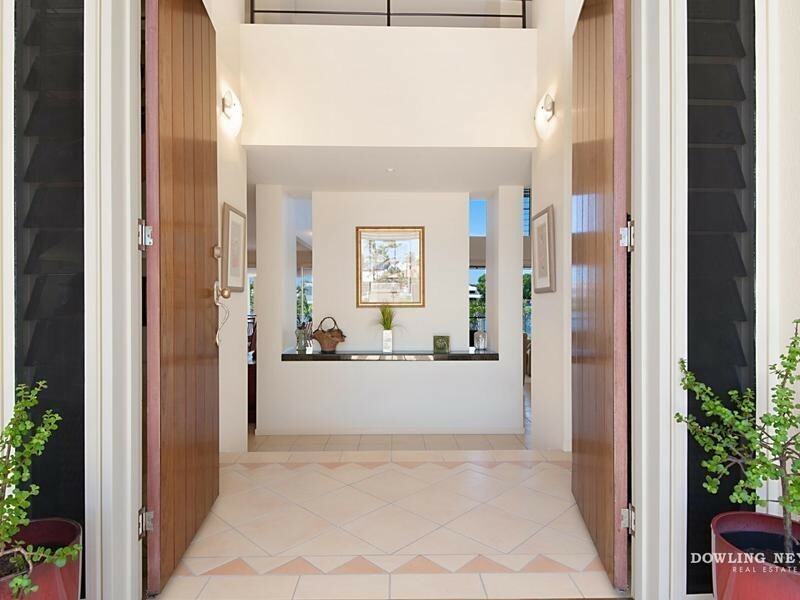 From the moment you walk inside you know you are entering something very special as the design delivers an amazing use of light and space and the layout has been cleverly designed for functionality and entertainment. 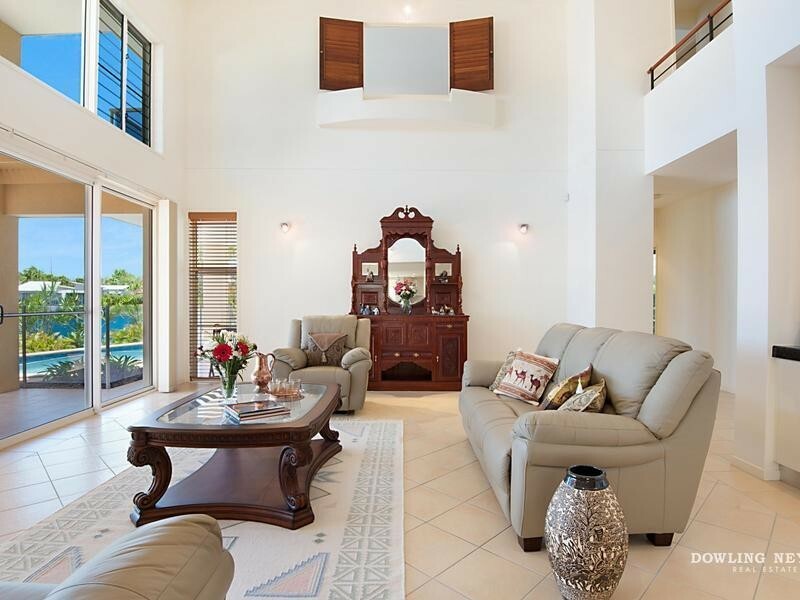 The main living area with its 5.4 metre high vaulted ceiling and sliding doors opens on to an outdoor entertaining terrace with wide water views. 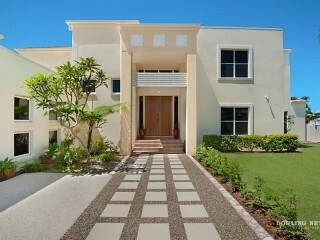 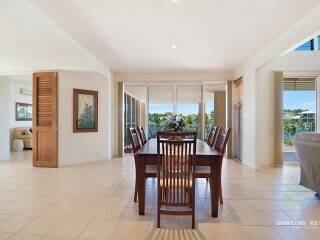 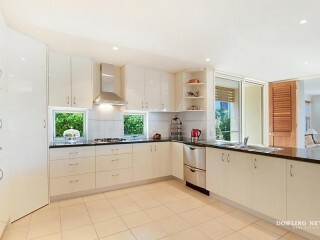 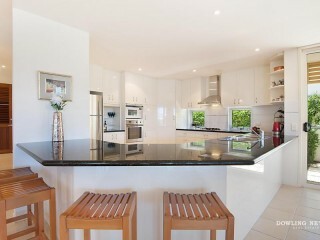 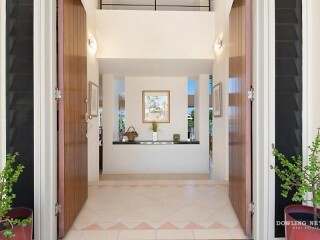 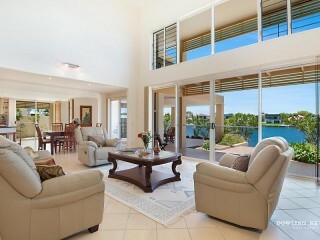 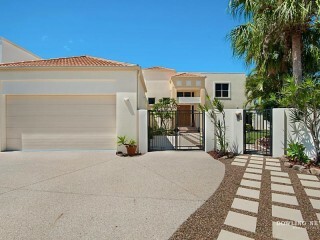 The home flows seamlessly from the open plan living and dining to the magnificent alfresco pool and entertainment area. The kitchen at the heart of the home is an entertainer's delight with stone benchtops, double sink and insinkerator, Fisher & Paykel equipment including 2-drawer dishwasher, oven and gas cooktop. 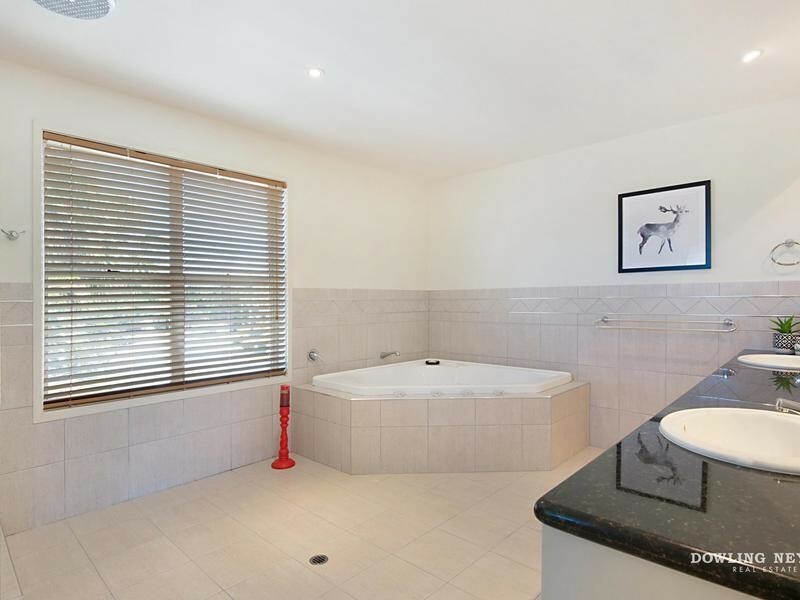 Plumbed for ice-making refrigerator and ample storage shows careful thought in the planning. 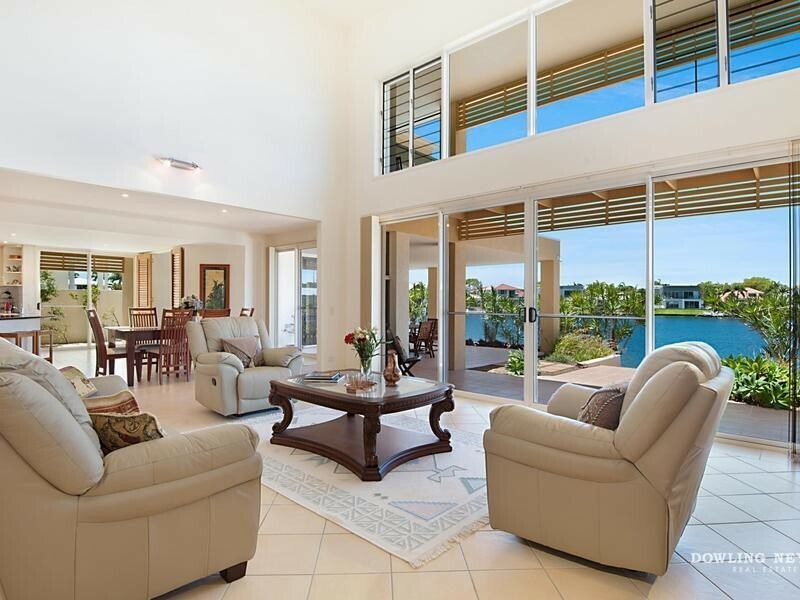 Off the main living area is a substantial living, media or games room with wiring for built-in speakers ideal for a teenage retreat area. 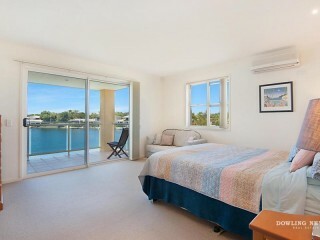 Guests can be accommodated in the large downstairs bedroom with its own water view and a spacious office which could be converted to a 5th bedroom if desired. Alighting to the first floor, an additional two living areas accommodate the modern family in comfort and in the most contemporary style. 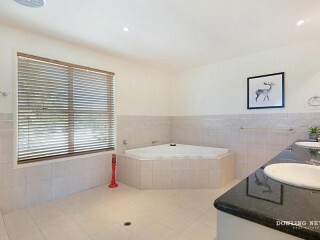 The master suite incorporates a large walk-in wardrobe and a well-appointed ensuite with spa bath. 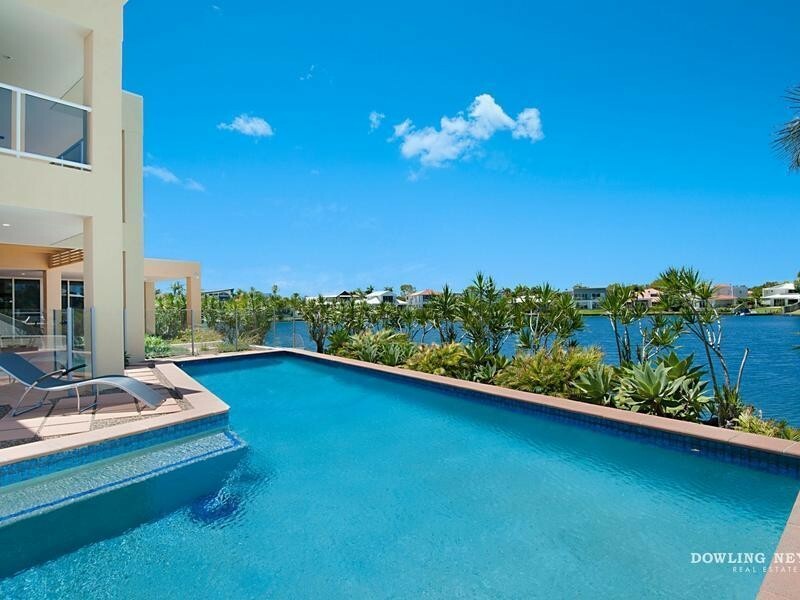 A private balcony with breathtaking views awaits you also from the master - sit out and enjoy water frontage from this special vantage point. There are a further two bedrooms on this level with spectacular water views, both with built-in robes and sharing a large bathroom. 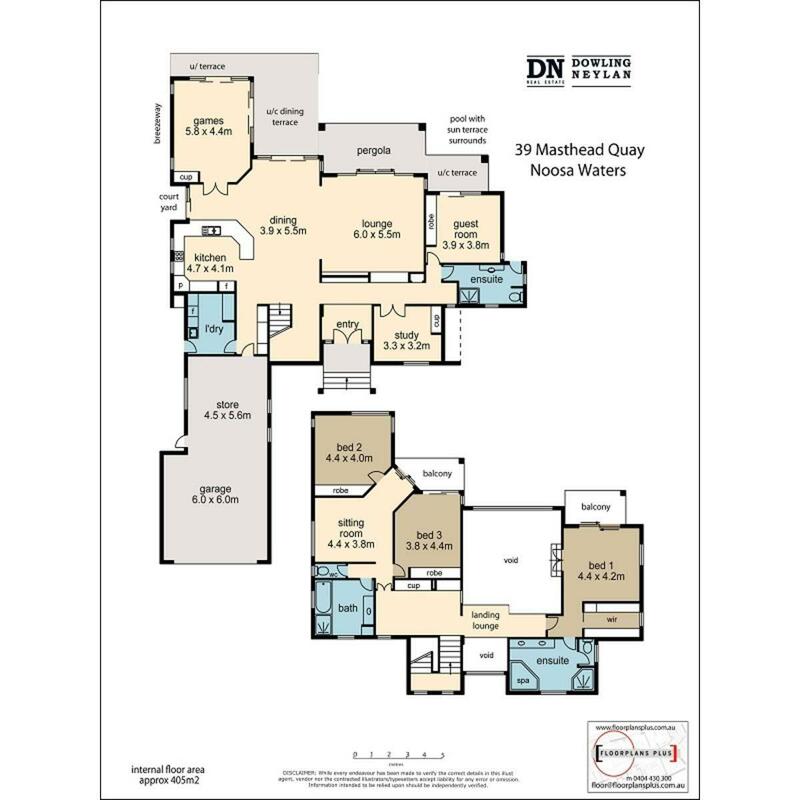 An abundance of additional features both inside and out including a triple lockup garage plus side parking for a boat or trailer, brand new video intercom and house alarm, vacumaid system and ample of built-in storage throughout the house. 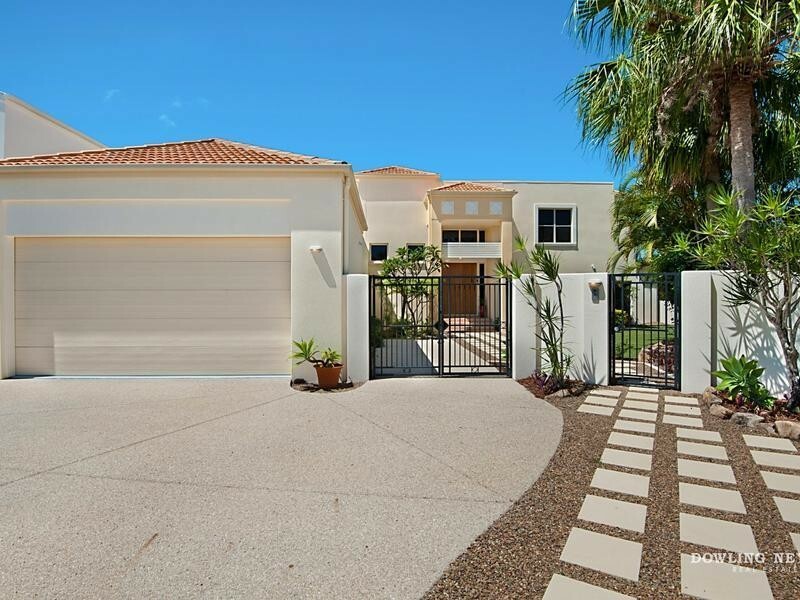 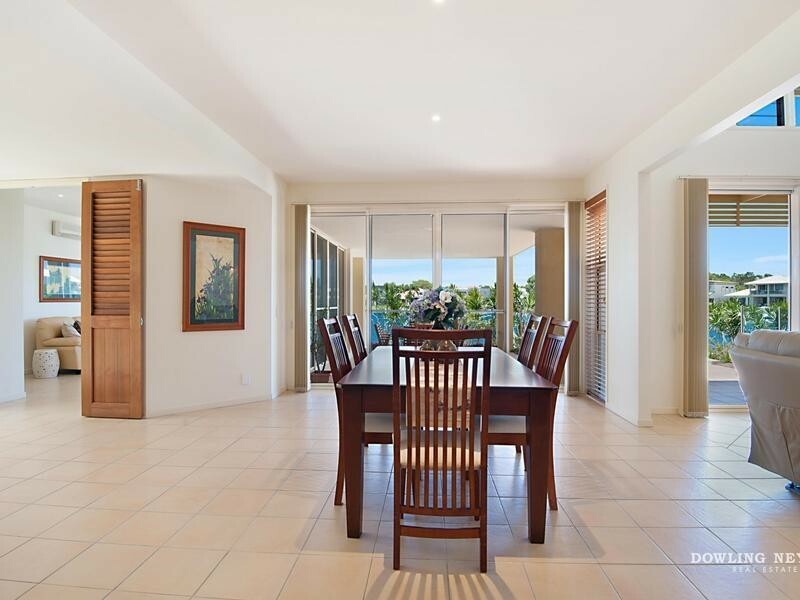 This home presents an amazing opportunity to enjoy the finest of lifestyles Noosa has to offer with close proximity to all local amenities such as shopping precincts, schools and the best restaurants on the coast.